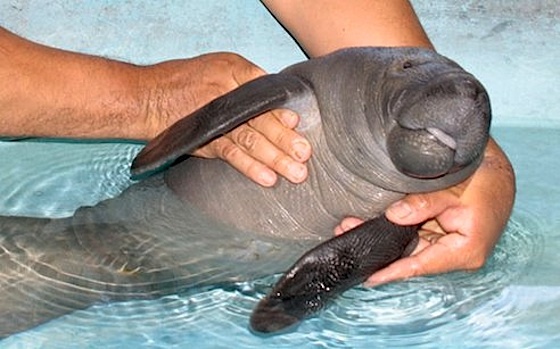 Growing up I loved manatees. Like, I loved manatees. I wore the same manatee necklace for ten years until it broke when I was 19. Literally a necklace with a manatee charm on it. Well, after seeing this adorable little angel face it is obvious that my love has not gone away.